Another review today about some new products which I am very pleasantly surprised and super happy with which is why I am recommending them! 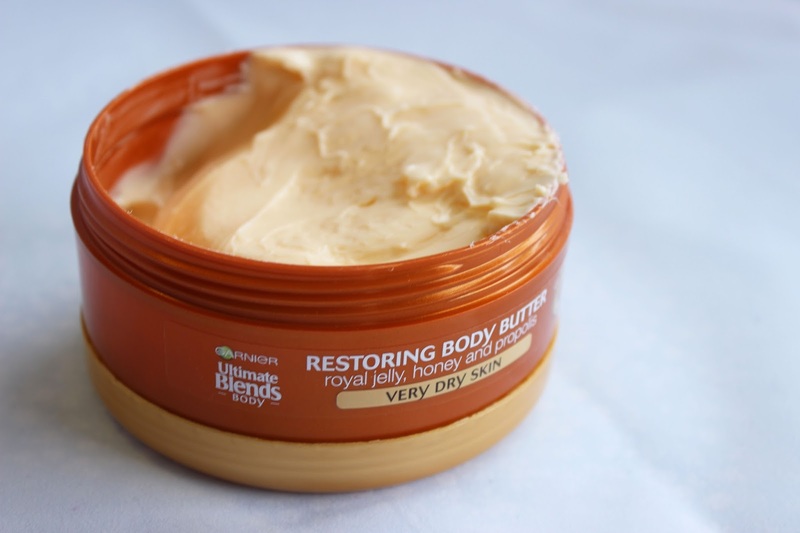 My first impression of the restoring body lotion was that it was very quick to soak into the skin with a gorgeous honey fragrance, it really does smell amazing! It also has the idea of a gorgeous summer glow (even though there is no tanning product within). I waited about 5 minutes after applying it before putting on clothes, I was very surprised that it didn't feel like I had put any lotion on, it wasn't sticky. You are left with lovely soft skin immediately as well as a lovely soft scent. I felt the application was very easy with a non sticky feel. The longer you take to massage in the lotion it becomes a much smoother application. 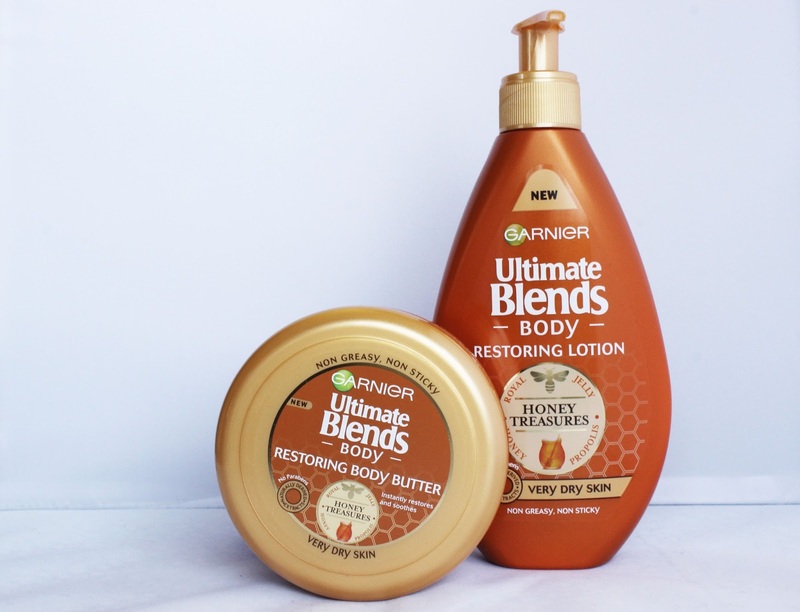 The only thing I had slight doubts about was that I was unsure how much lotion to apply, I felt like I kept going back to the lotion for more and was unsure whether I was using too much in one application when applying it on my arms, chest, shoulders, legs and stomach. I'm not a huge fan of body butters and have never been one to use them however this didn't leave my skin feeling sticky or greasy after applying it to my legs which is a result I always want from a product like this. Of course this product smells gorgeous as well because its part of the 'honey treasures' range, almost good enough to eat! My skin did feel super soft after using it for about a week and I felt that I could see a difference in the hydration of my skin on my legs although each application was quite time consuming so definitely not something I would continue on a daily basis however after a lovely relaxing bath every now and again I feel it would be a great treat for my skin. What to consider before buying these products; think about what kind of routine you have at the moment. I think this product is perfect for someone like me who always feels a bit rushed on a morning and likes to get jobs down quickly, because the lotion dries in very quickly it means you can put on your clothes and get dressed straight away which is great when you're on the go on the morning! 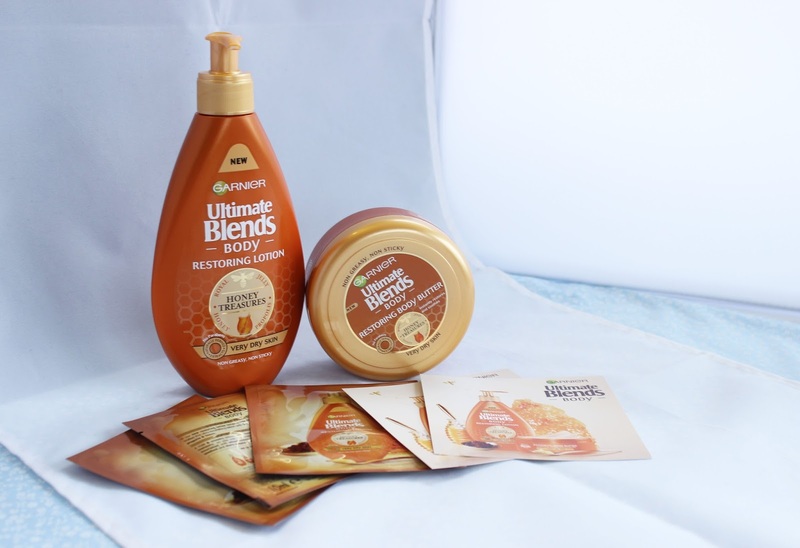 Have you tried any of the products from the Garnier Ultimate Body Blends range?